Argentina has consistently been hyped as the location where the next shale revolution will unfold. The unfolding has taken some time, but progress in shale production is starting to take off in the South American nation. 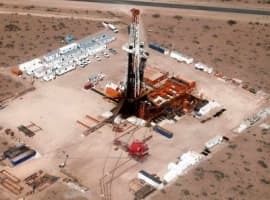 In October, state-owned YPF announced plans to spend $30 billion on shale investment over the next five years in an effort to scale up oil and gas production from the Vaca Muerta shale. 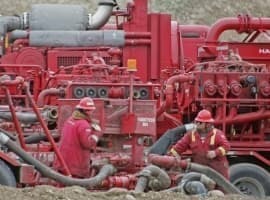 The company hopes to boost shale output by 150 percent over that timeframe. Key to that push is lowering development costs. YPF says that it can produce a barrel of oil equivalent (boe) for $13, and it aims to reduce that to $10/boe by 2020, which the company says would make it competitive with shale production from the Permian or Eagle Ford. Part of the cost cutting drive, the company and the government believe, will be lowering labor costs. Earlier this year, trade unions made concessions on working contracts in exchange for a commitment on spending. The agreement, Argentina’s energy minister said, could cut development costs by as much as 20 percent. A more flexible labor market, in turn, will help attract more dollars from international companies. At the same time, Macri’s government has proposed cuts to natural gas subsidies. The price of natural gas in Argentina is fixed at $7.50/MMBtu, a windfall price for YPF given that spot prices in the U.S. trade at roughly $3/MMBtu. The higher price, the government has long argued, encouraged investment and would help boost production. But it has come at a steep cost to the treasury. Now, the government plans on scaling back subsidies. The fixed price will be lowered to $6/MMBtu by 2021 and subsidies for production above a certain pre-determined level will be phased out at the end of this year. YPF said that it was “disappointed” by the move, and would reallocate spending from natural gas to oil in response. “With the new gas rules, we will probably see more growth in crude oil than in natural gas vis-a-vis what we were envisioning in the plan,” YPF CFO Daniel Gonzalez said, according to Reuters. In addition, YPF hopes to refocus its efforts on conventional production, which, according to the FT, fell out of favor in recent years until President Macri overhauled the company’s management. Conventional output still accounts for the lion’s share of the company’s output. Still, if Argentina is to become the next shale powerhouse, it will need much greater levels of capital, along with drilling expertise—things that will need to come from abroad. ExxonMobil recently won a 35-year concession for the rights to develop a shale gas block called Los Toldos I South. 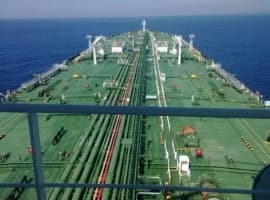 The oil major said it plans on investing $200 million initially for a pilot project that will consist of seven wells, production facilities and export infrastructure. “We are very optimistic about this resource and the provincial government’s approval enables us to do the necessary work to continue expanding our operations,” Sara Ortwein, president of ExxonMobil’s XTO Energy, said in a statement at the end of October. “We look forward to continuing to work with the government and our partners to develop the country’s energy resources.” Last year, Exxon said it had plans to spend $10 billion on Argentina shale over the next few decades. In order for Argentina to really replicate a shale revolution, it will need oil majors to follow through on promises like those. It still remains to be seen if the oil majors are willing to put that kind of money on the line in a shale region that is still in its early stages.